This Out 2 Learn Network would not be possible without the vision, determination and dedication of some very important and influential organizations devoted to making quality youth programs available to students and families all across greater Houston. Established by Jesse H. and Mary Gibbs Jones in 1937, Houston Endowment advances equity of opportunity for the people of greater Houston and enhances the vibrancy of our region. The Foundation is committed to helping foster the creation of high-quality out-of-school time opportunities for all Houston-area children through Out 2 Learn. Houston Endowment plays an active role in the network, including via the Access Workgroup, which makes funding decisions to support out-of-school time opportunities in underserved areas. The Foundation has also worked to identify and secure additional public and private funding. The Houston Endowment is proud to be a founding partner Out 2 Learn. Learn more about the Foundation here. 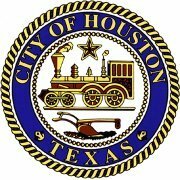 The Mayor’s Office of Education works to create equitable educational opportunity for all Houstonians by collaboration, communication, and coordination with Houston’s education stakeholders. Utilizing a collective impact approach, the office works to enhance and institutionalize city-wide educational access, equity, and opportunity. Out 2 Learn is an example of one of its critical initiatives. United Way of Greater Houston creates the opportunity for every person in our community to thrive by leading, serving, influencing, and convening the nonprofit social services sector to deliver quality services with exceptional outcomes. One of UWGH’s key areas of investment is academic success, as we know that students must be prepared to pursue postsecondary education pathways in order to successfully compete in the 21st century workforce and lead our community into the future. Out 2 Learn is UWGH’s newest cross-sectoral collaboration through which we seek to continue our support of Houston youth’s academic success. Within the Out 2 Learn partnership, UWGH serves as the lead agency that has full-time staff members dedicated to the various Out 2 Learn strategies. 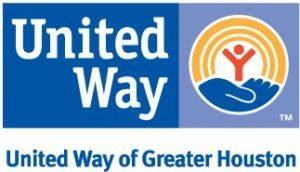 UWGH also leverages the power of the 2-1-1 Texas/United Way HELPLINE to offer Out 2 Learn resources to callers 24/7 in over 150 languages. UWGH has been a long time funder and supporter of out-of-school time, our commitment to Out 2 Learn is an integral part of that. Learn more about the United Way of Greater Houston here. The mission of CASE (Center on After School and Enrichment) for Kids is to strengthen, support, and sustain after-school programs and out-of-school activities. Our vision is a connected community invested in opportunities for youth, and we believe that together we can best equalize access to learning and enrichment opportunities for youth in need. A quality program provides a safe and inclusive environment, diverse learning opportunities, effective administrative strategies, collaborative relationships, and program promotion. CASE provides funding and grants administration to 44 comprehensive afterschool programs that serve youth 12-15 hours a week by providing both academic- and enrichment-based programming. Additionally, CASE hosts Kids’ Day and outreach events to enhance service delivery and help raise the awareness of the importance of afterschool. In collaboration with Out 2 Learn, CASE offers professional development, technical support, and quality coaching services to the out-of-school time field. Furthermore, CASE staff take an active role in Out 2 Learn efforts by including staff as committee members on the Out 2 Learn Coordinating Council, Access Workgroup, Data Workgroup, and the Connections Workgroup. Find out more about the efforts of the Harris County Department of Education here. If you have any questions about the types of programs, the accessibility of these resources, or anything else related to the growth and development of youth in greater Houston, please reach out to us.